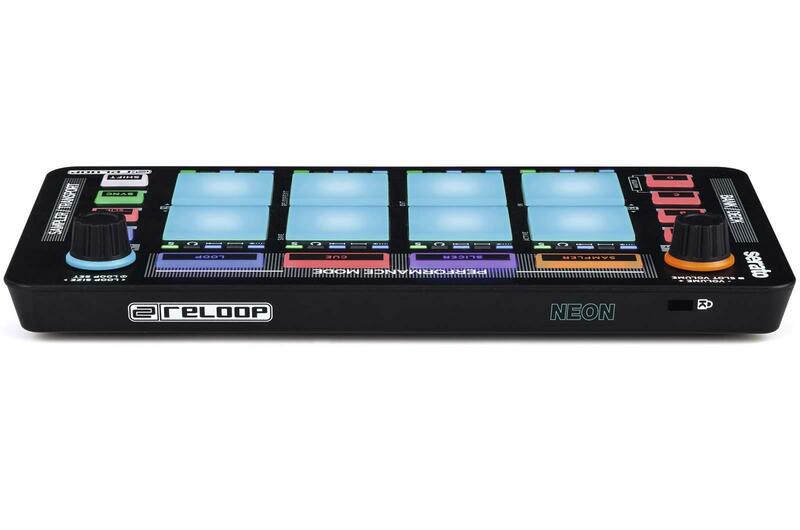 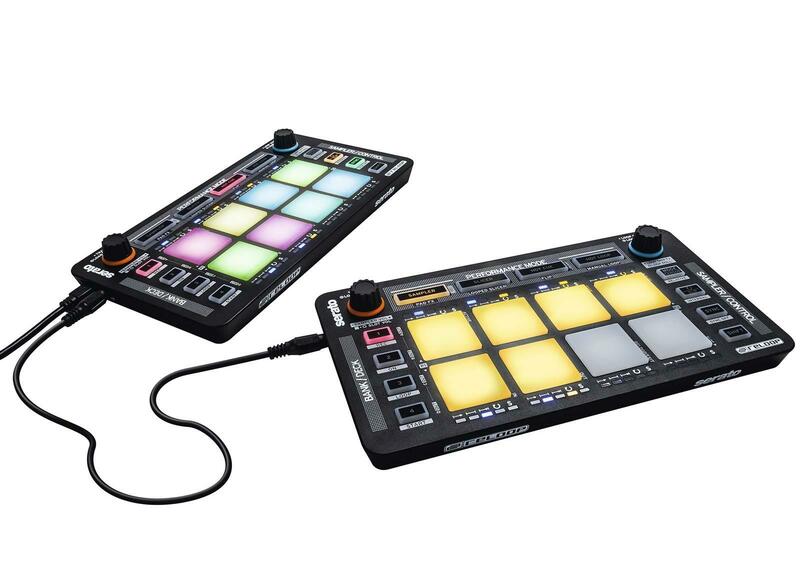 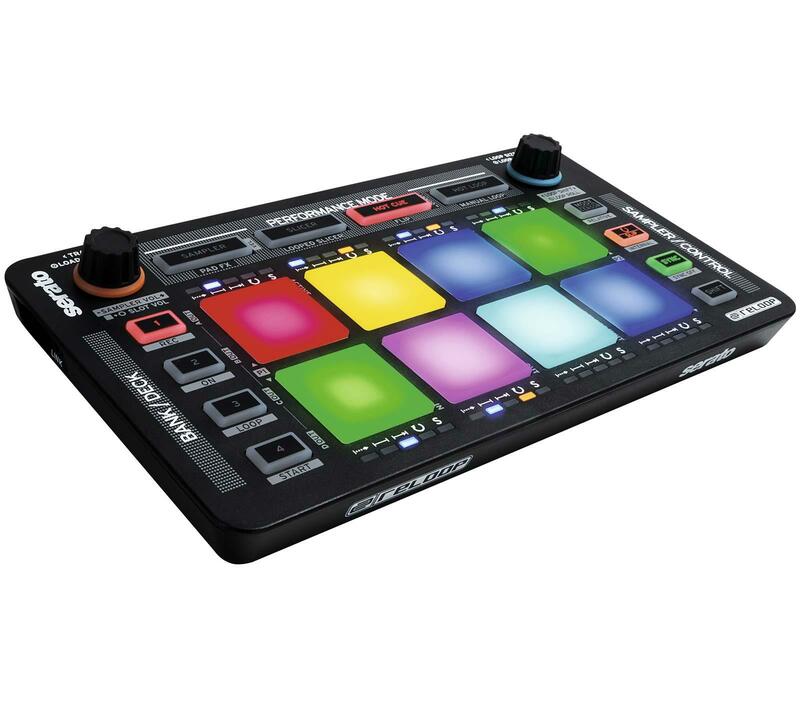 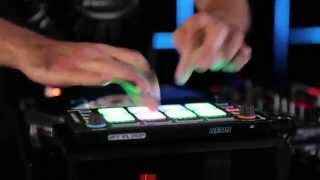 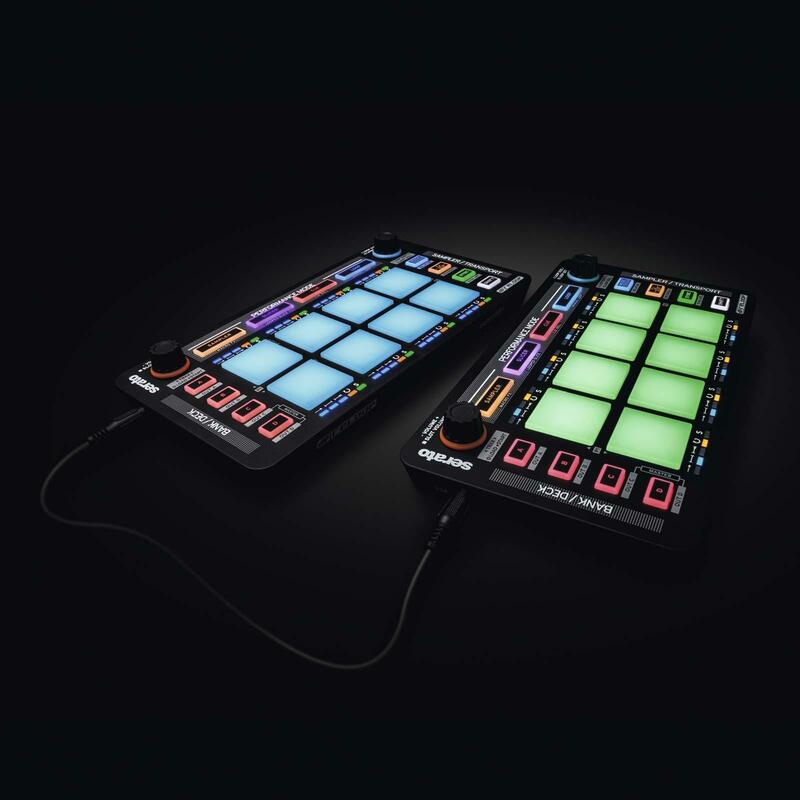 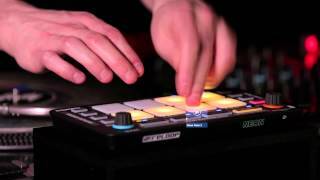 The Reloop NEON (Item#232520) is a Serato DJ Performance Pad controller with RGB drum pads, SP6 sample control, 8 Power Modes (Sampler, Pad FX, Slicer, Looped Slicer, Cue, Flip, Hot Loop and Manual Loop), smart color coding, smart linking, and even Serato's newest addition - Flip mode! 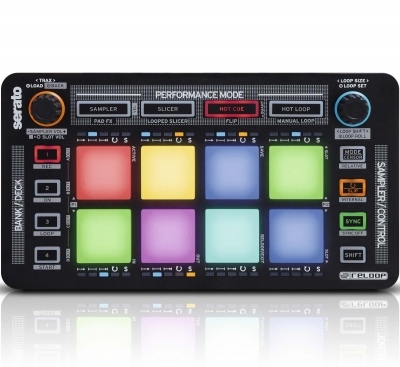 mode, so you’ll never get lost mid performance. 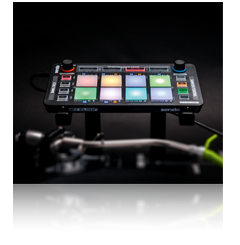 Two endless push encoders for track navigation, volume control and loop editing complete this simple yet powerful device. 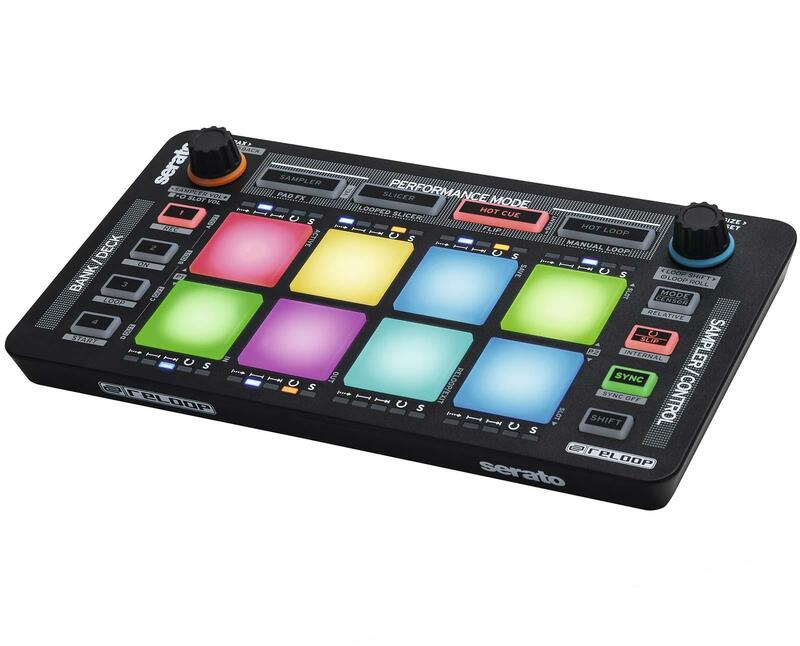 An extremely flat yet sturdy design makes NEON not only the ultimate plug and play performance tool, but also something that can also be easily stowed in any DJ bag and setup for use in a matter of seconds. 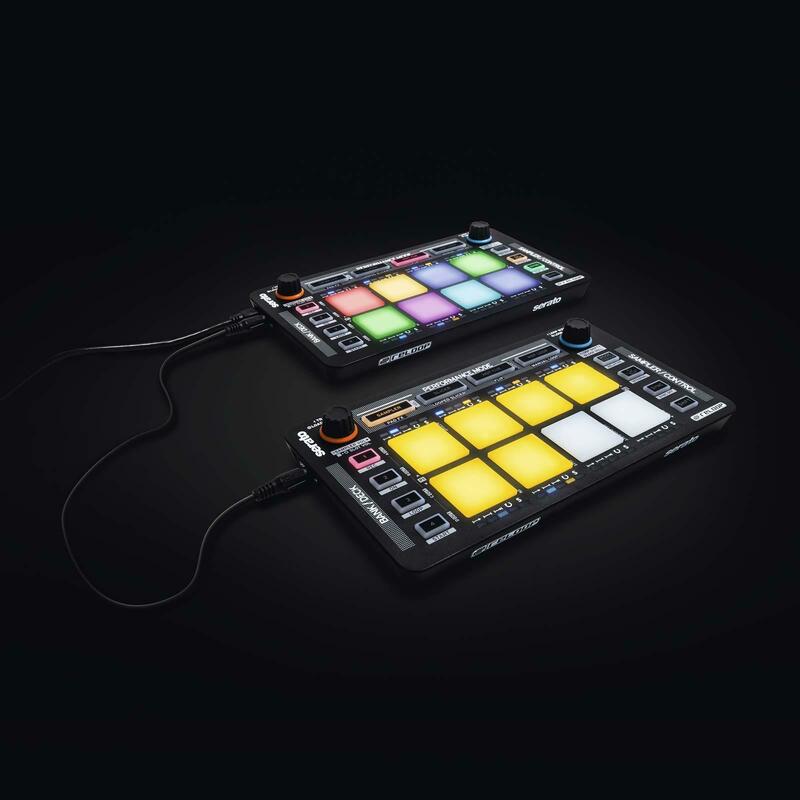 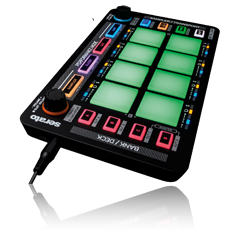 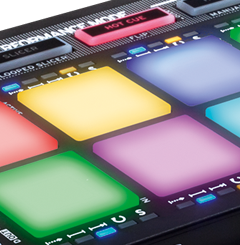 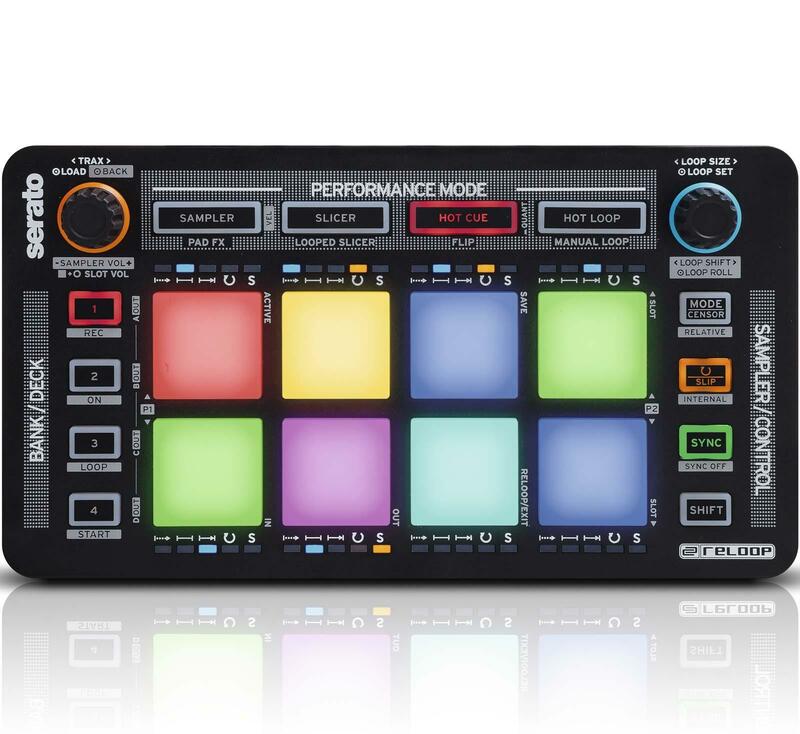 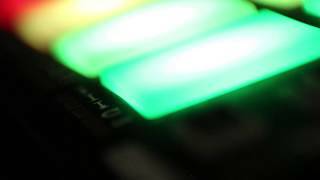 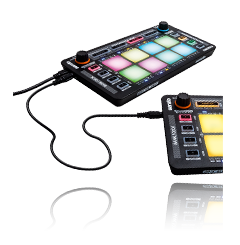 Handling these advanced functions is easy as the drum pads' smart color coding offers users visual feedback in each mode, so you’ll never get lost mid-performance. 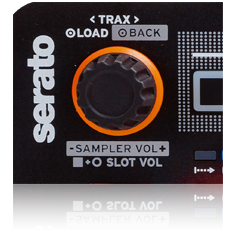 Two endless push encoders for track navigation, volume control and loop editing complete this simple yet powerful device. 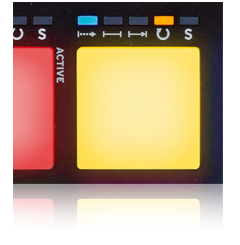 Dimensions (LxHxD): 8.78" x .63" x 4.84"